Ahoy! Love your pangolin tale! Thank you! I cut out a photo of a beautiful little pangolin from the NYT of Feb 12 – it must have been for World Pangolin Day – called Crossroads of the Wildlife Trade, but in contrast with yours, it shows 3 Hong Kong customs officials looking at endless huge open sacks full w pangolin scales. It must represent 1,000s of creatures. It’s heartbreaking. 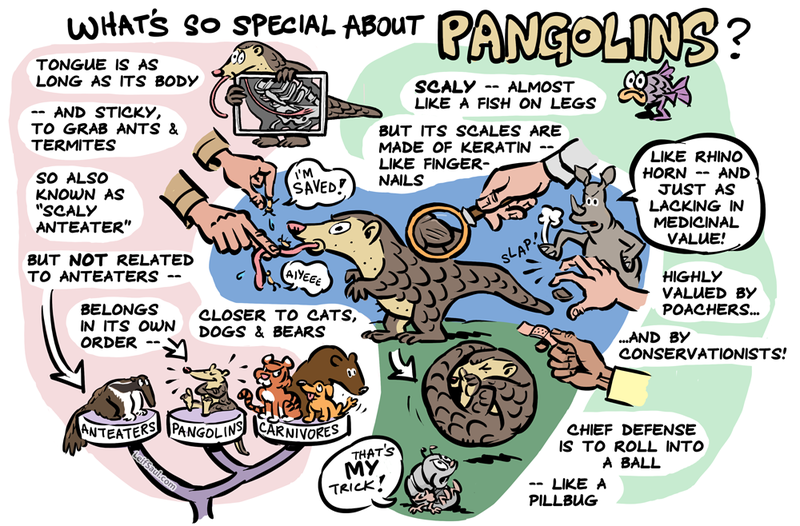 So all the more Thanks for yours of respect & joy in Pangolins!